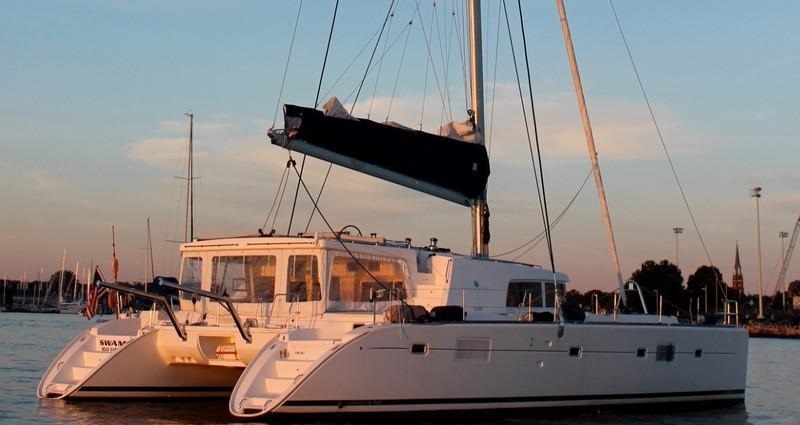 Built in 2009 by the notable French shipyard Lagoon, sailing catamaran TELL STAR measures 15.5m (51ft) and offers crewed yacht charters in the Caribbean and New England. 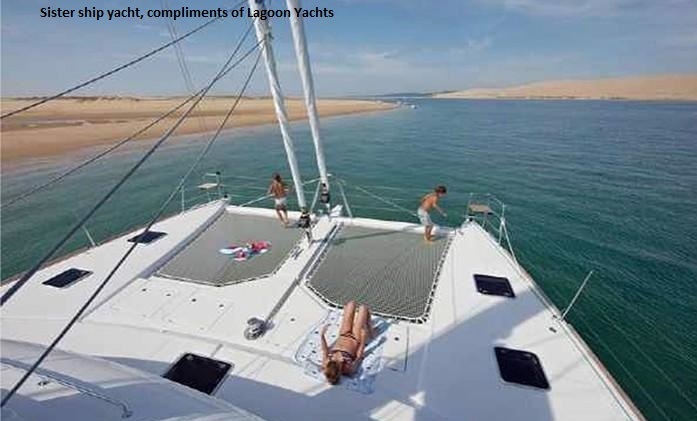 S/Y TELL STAR can accommodate up to 6 charter guests, in 3 en-suite cabins, each with queen size beds. Charter yacht TELL STAR has an open airy interior atmosphere. The salon and dining are an open and integrated plan, featuring a large L shaped sofa, convertible dining table, nav station and well equipped galley. Vertical windows surround the space, infusing the Apli oak panels with ample natural light. Dark wood floors, cream leather soft furnishings and plush throw rugs, create an inviting, warm décor. 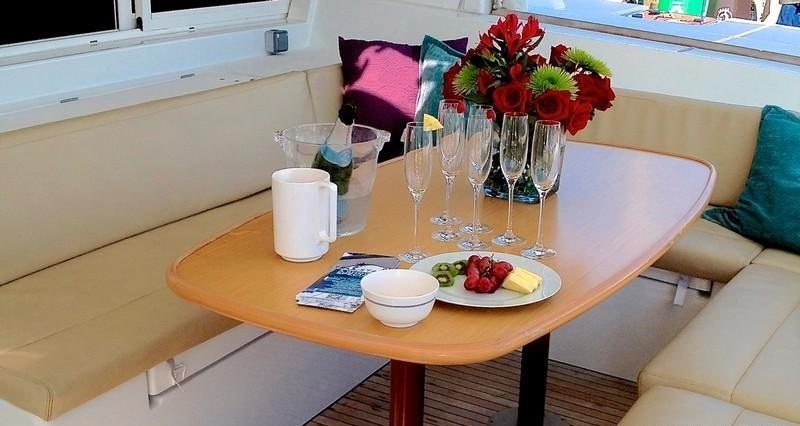 Exterior living aboard the flybridge designed TELL STAR catamaran is plentiful. 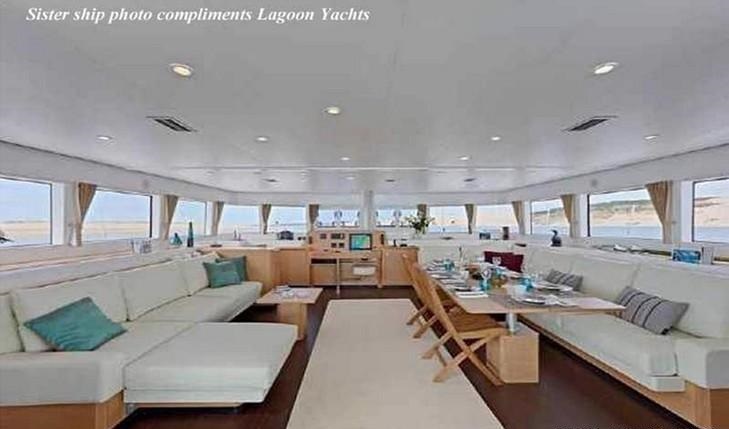 The main deck boasts a large guest cockpit with alfresco dining, wrap around seating, optional side shades and wet bar fridge. 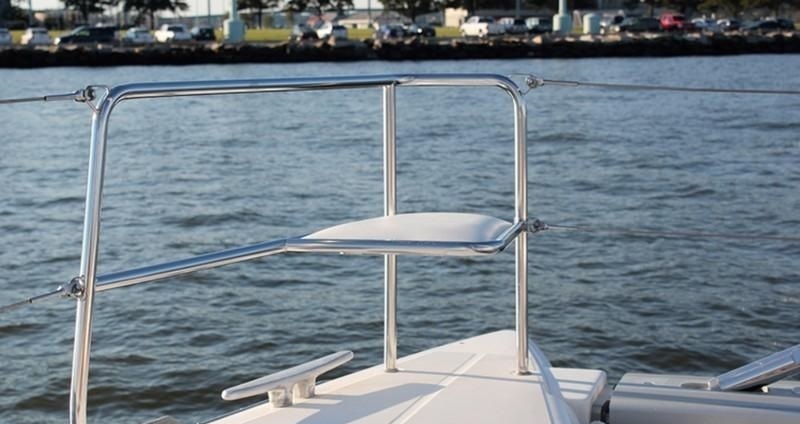 Two wide sugar scoop transoms provide effortless water and sea toy access. 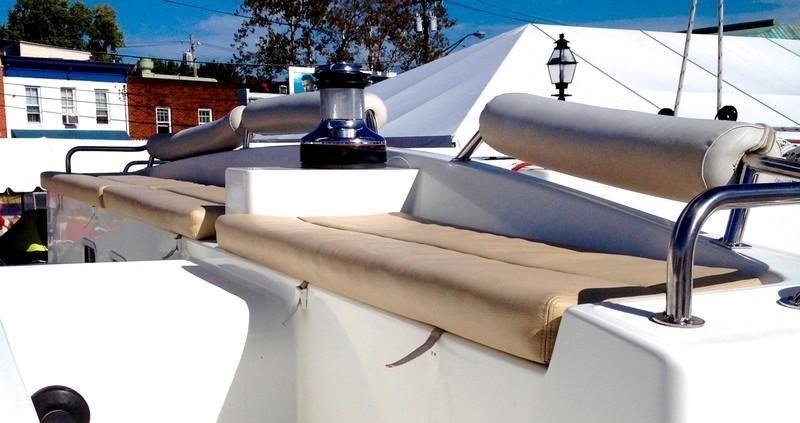 A further guest cockpit is on the foredeck, offering a comfortable seating area and sunpads. Additional sunning and relaxing space on the massive trampolines, is perfect for everyone to enjoy. Above the main deck, S/Y TELL STAR has a full width flybridge with seating and optional shade, ideal for guests who wish the join the captain and experience sailing from the helm seat. 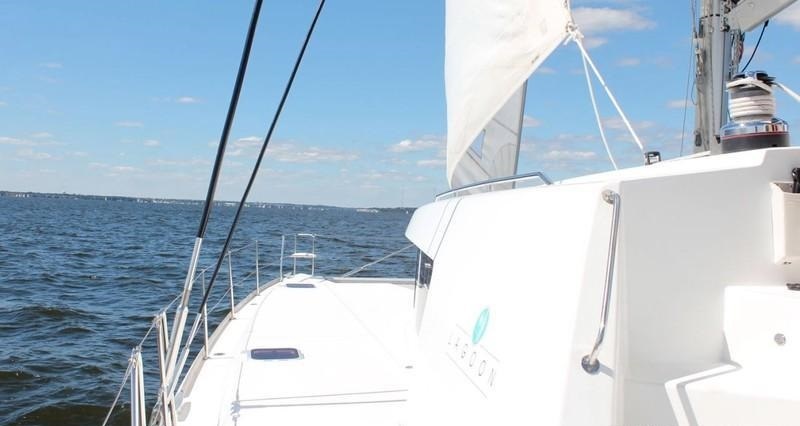 With a beam of 8.5m (28ft) and a draft of 1.4m (4.8ft), the multi hull sailing catamaran TELL STAR is the perfect spacious and sea worthy choice for family and group luxury sailing vacations. 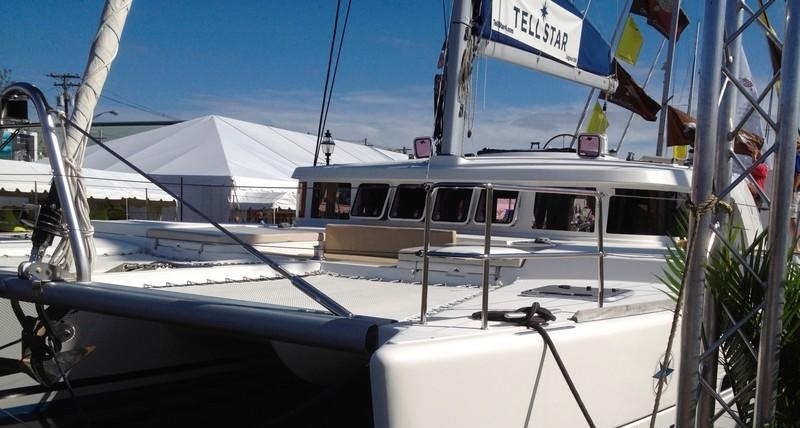 Catamaran TELL STAR offers 3 double, en-suite cabins, for up to 6 charter guests. 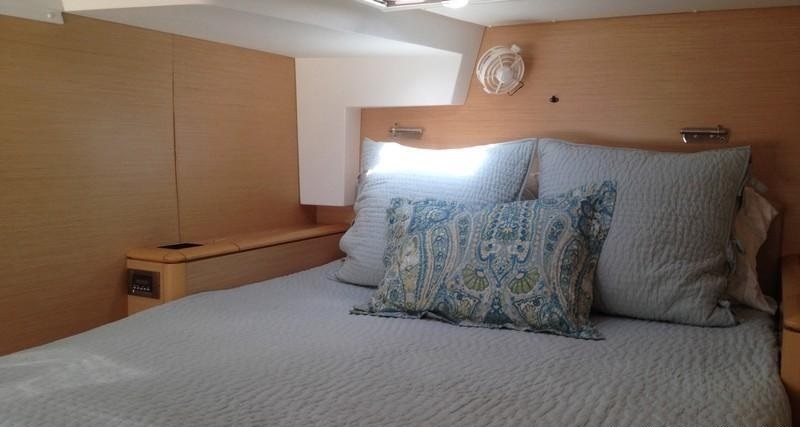 All 3 cabins boast queen size beds, full air conditioning and plenty of natural light. 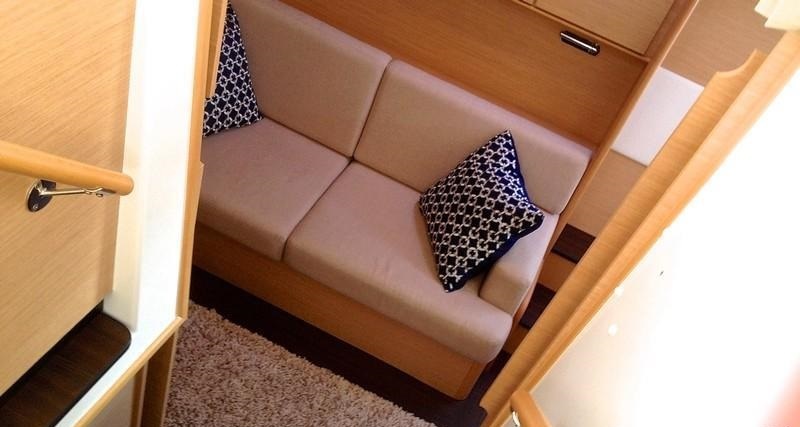 The master cabin features a comfortable love seat and vanity. 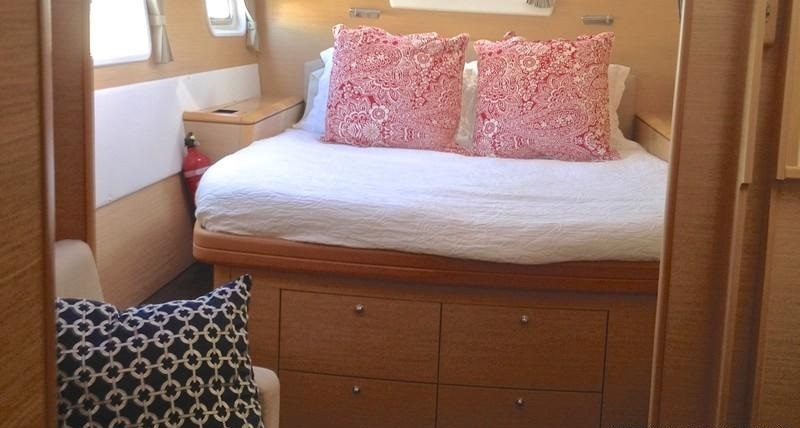 The crew has a separate cabin and private en-suite facilities. 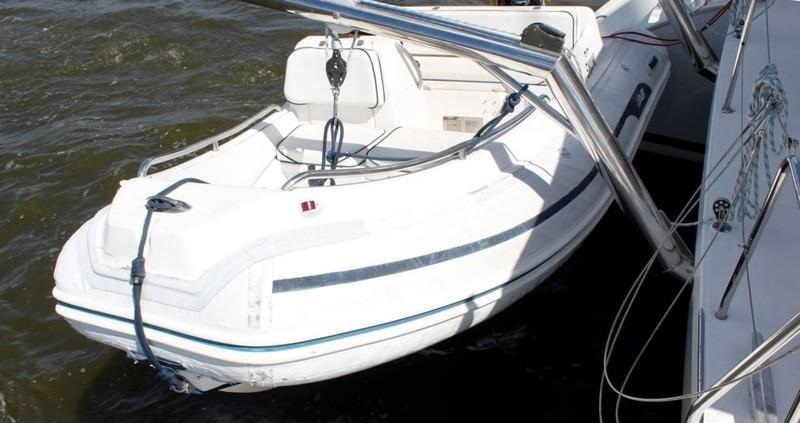 Yacht TELL STAR has a Tender with 50hp engine, the owner is open to requests for toys not listed! Please ask. Stereo system, Fishing equipment, Local television, Wakeboard, Board Games and Beach Games, Deck shower, Voltage: 110, Barbeque, Diving by arrangement / rendezvous, Snorkeling gear.